A Supreme Court bench headed by Chief Justice P. Sathasivam agreed to hear a PIL filed by advocates Subrata Das and N. Rajaraman seeking a court-monitored investigation into the fire tragedy in submarine INS Sindhuratna and a compensation of Rs. 1 crore each for relatives of the two Navy officers who died. The apex court before which the matter was mentioned for an urgent hearing, posted the case to March 28. On February 26, fire erupted on board Sindhuratna around 40 nautical miles off Mumbai in which seven sailors were injured and two Navy officers died. Following the incident, Navy Chief Admiral D.K. Joshi taking moral responsibility of the incident, resigned. As per Live Law reports, the Navy had said human miscalculation led to the fire that broke out on cables on INS Sindhuratna. The probe had mentioned a deviation from standard operating procedure. According to the PIL, technical and maintenance failure of batteries in the submarine led to the death of the two officers and therefore, it sought a court-monitored inquiry to determine whether there was a well-timed provision of batteries and other safety equipment. 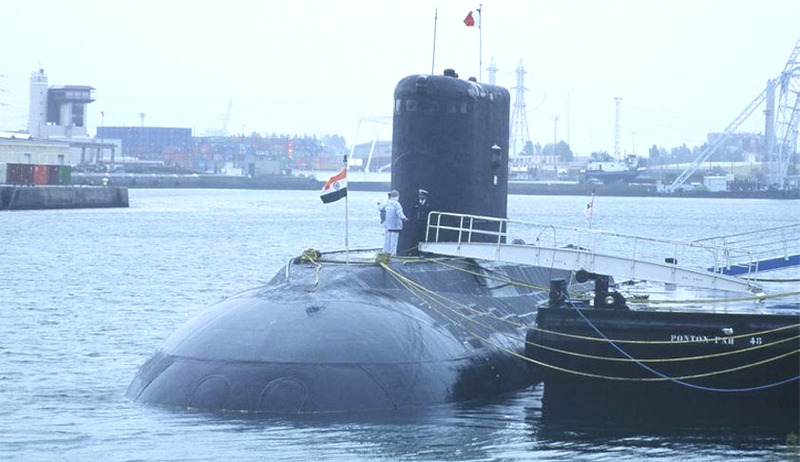 Besides, seeking a direction for producing the communication between the Defense Ministry and the Navy Command relating to the maintenance of submarines, particularly Sindhuratna, the PIL sought court’s direction to the Defense Ministry to submit the status report on the action taken by it on the demands concerning repairs and replacement of safety equipment of the armed forces.